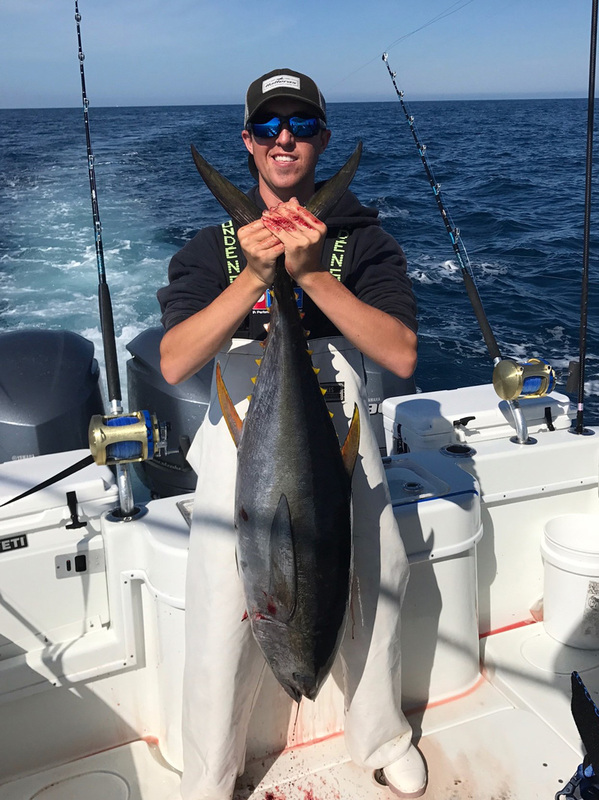 Based out of Green Pond in East Falmouth, MA, the vessel JAKAMO2, a 39ft Invincible center console built in 2018, and powered by triple 300HP Yamaha engines up to a maximum speed of 63 mph. 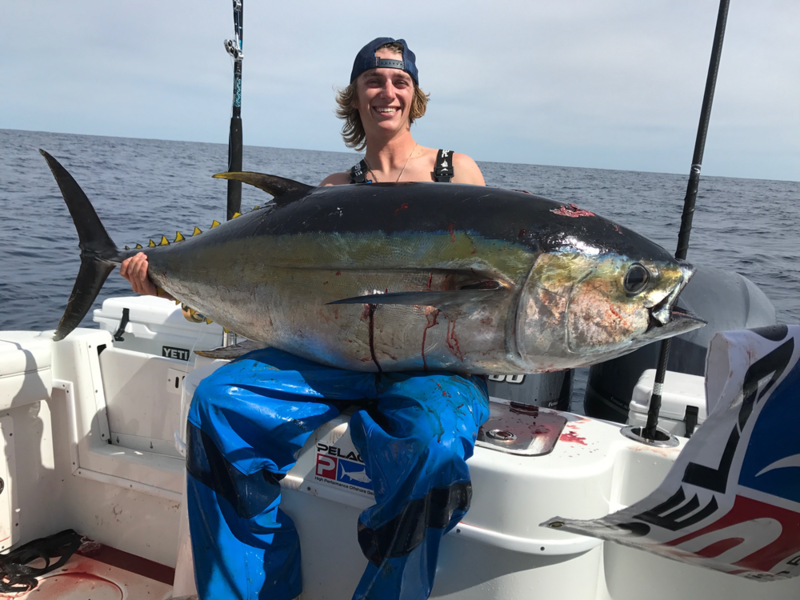 She comes equipped with outriggers, top-of-the-line tackle from Shimano and Penn, and the best lures and the live bait available. 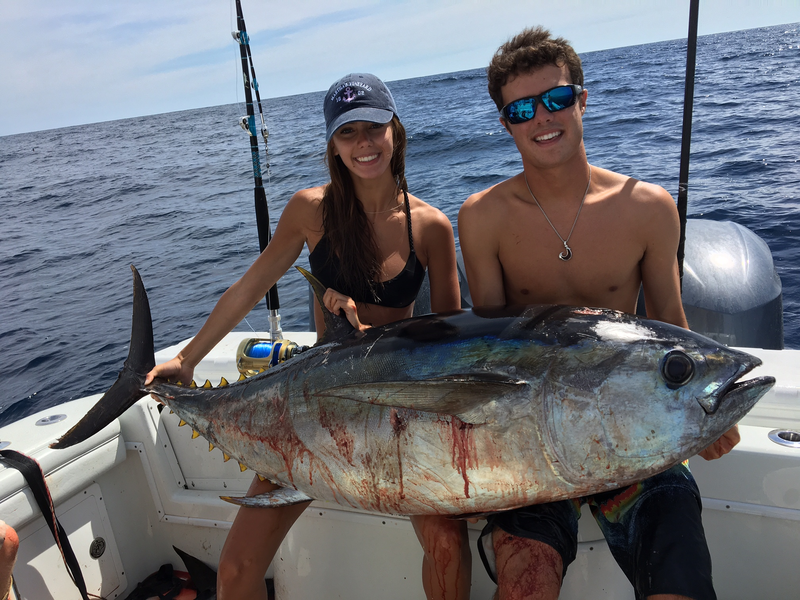 She is also equipped with GPS, fishfinder and the best thing you can have for finding great fish: a highly skilled first mate. 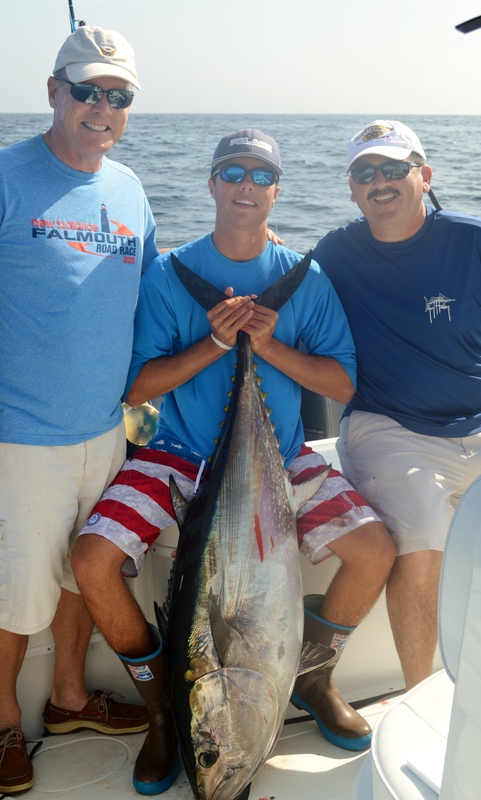 The JAKAMO2 is operated by Captain Jake Curley. 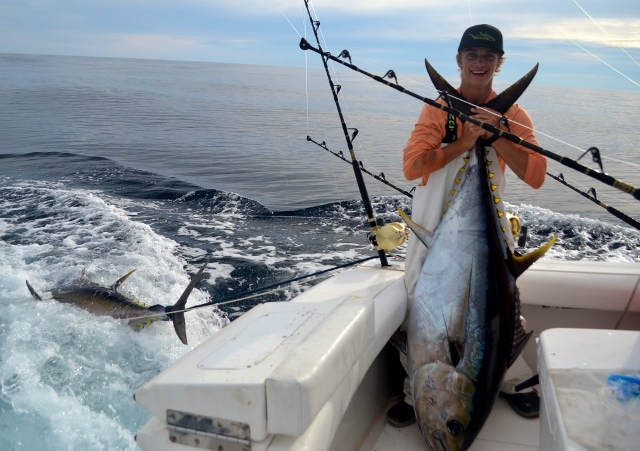 With 10 plus years on the water, Jake specializes in Canyon fishing. 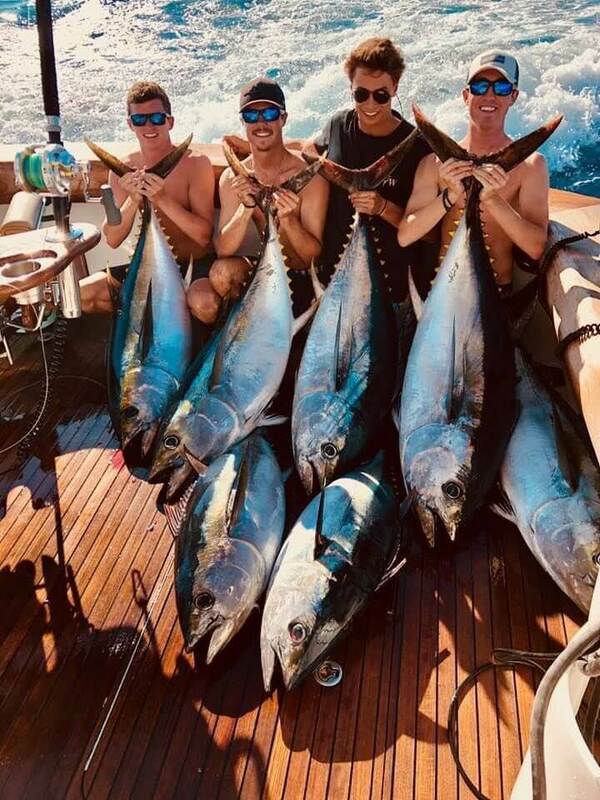 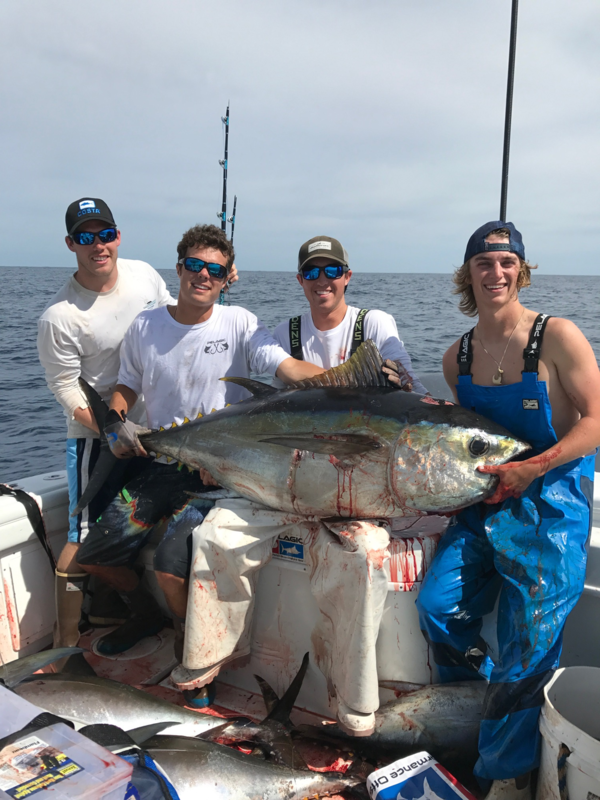 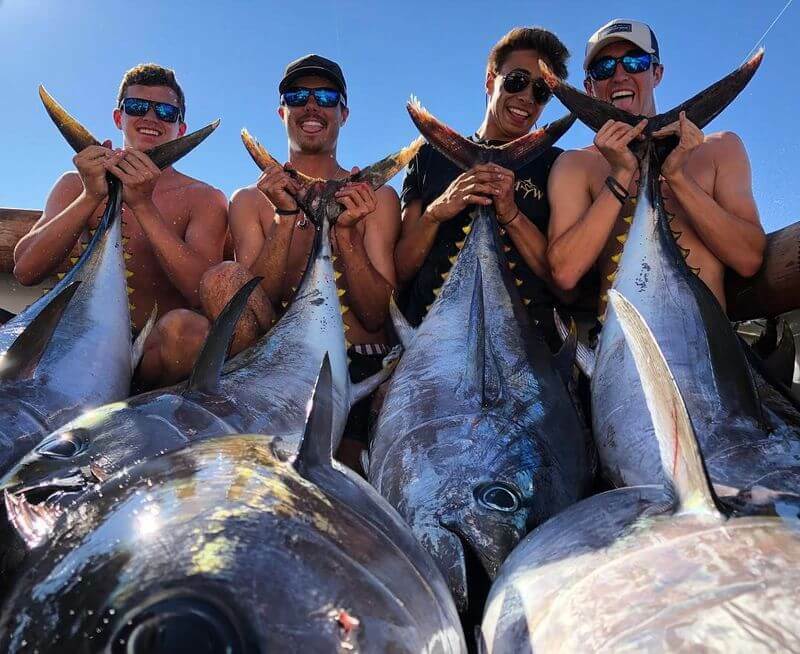 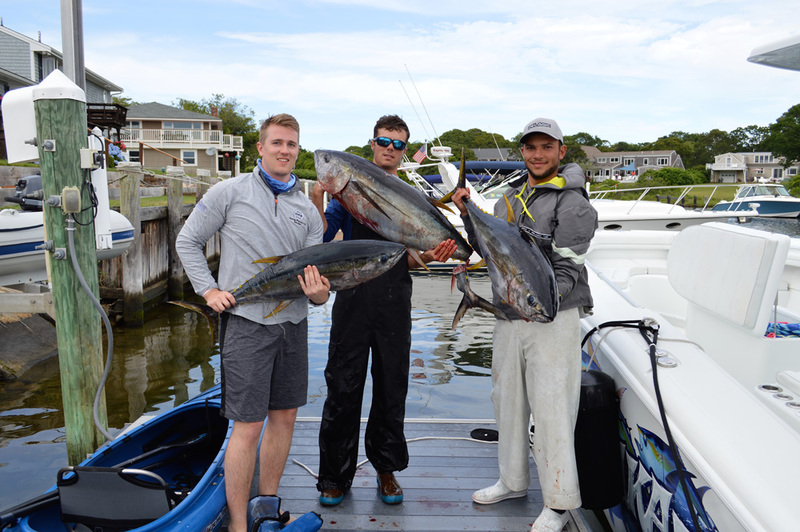 Whether you want to go for tuna, marlin, swordfish, shark or stripers, we provide all the necessary equipment and expertise to catch fish! 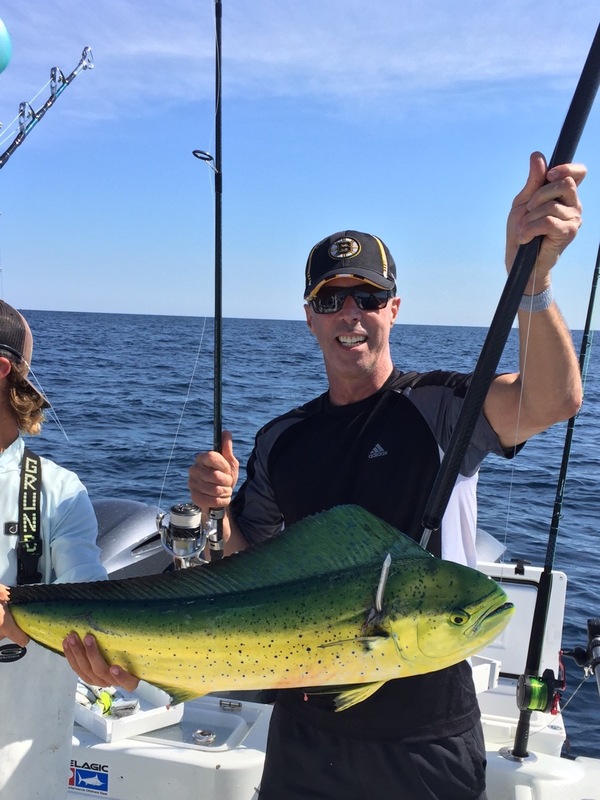 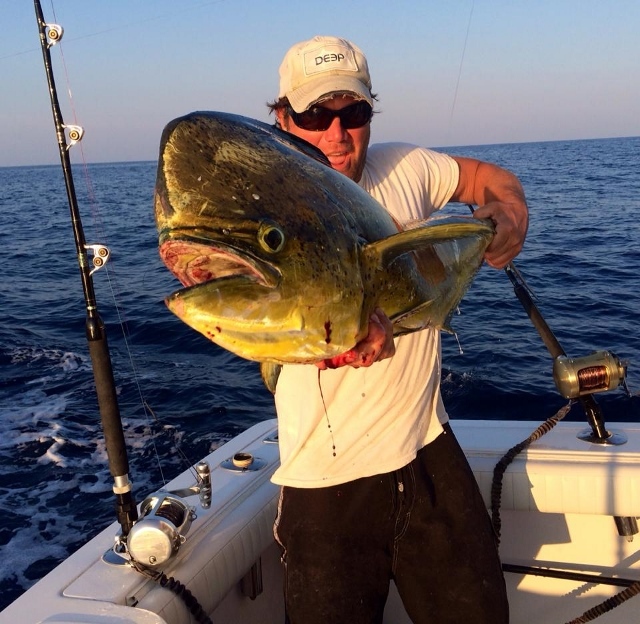 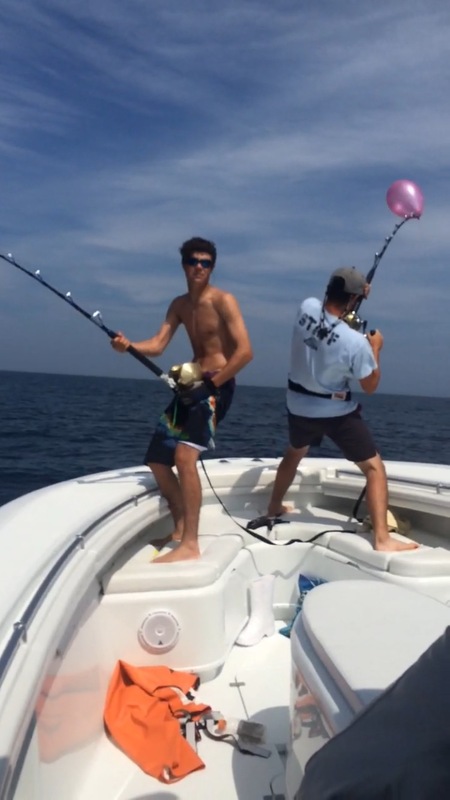 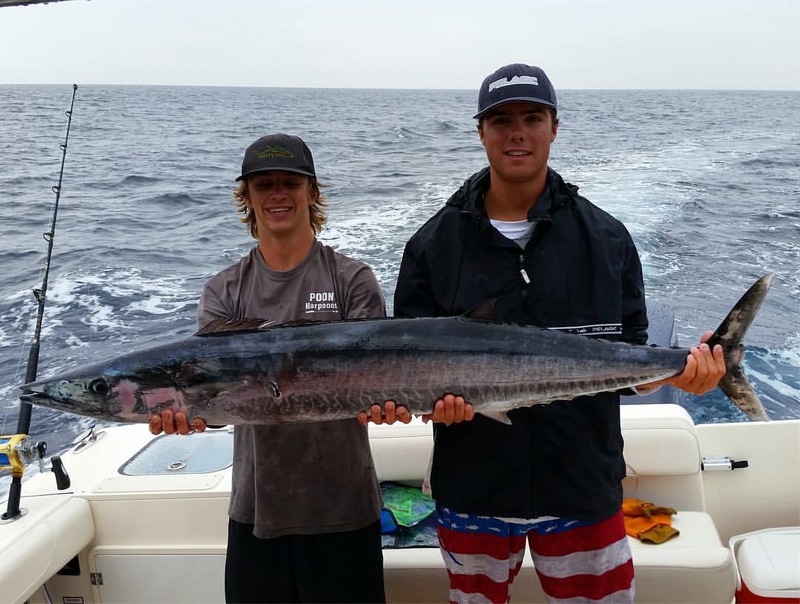 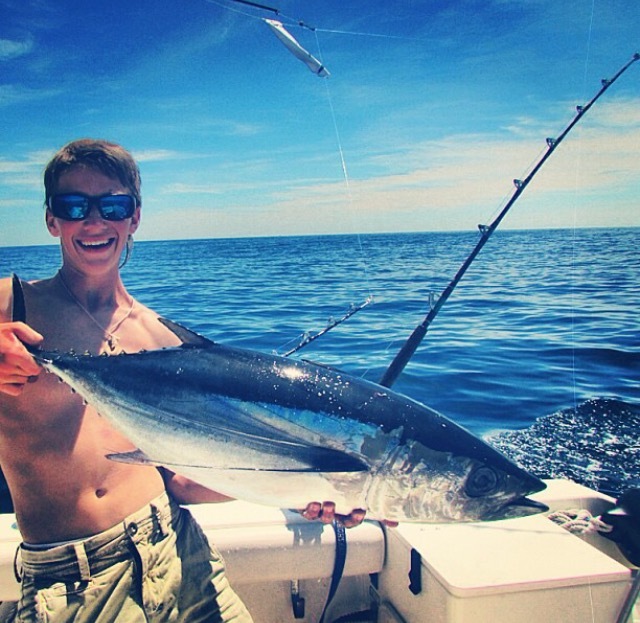 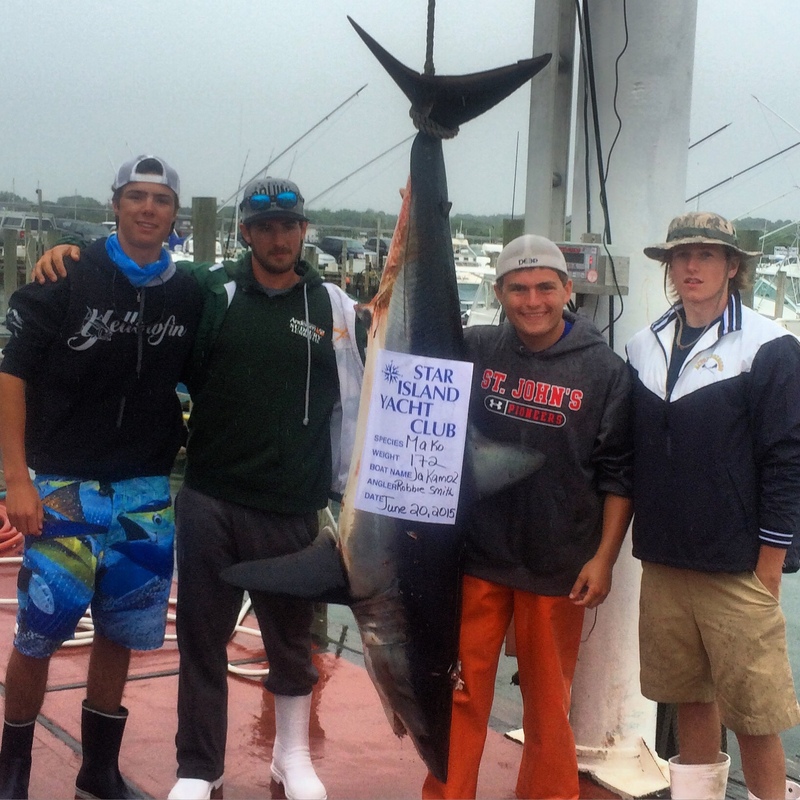 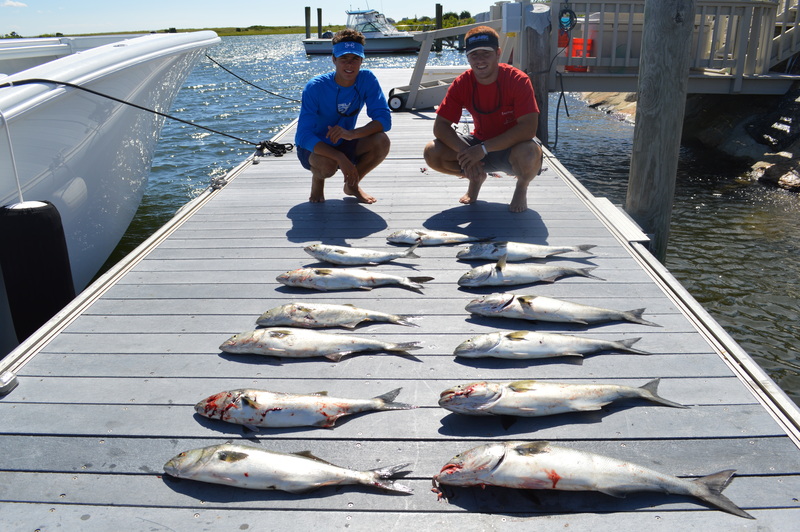 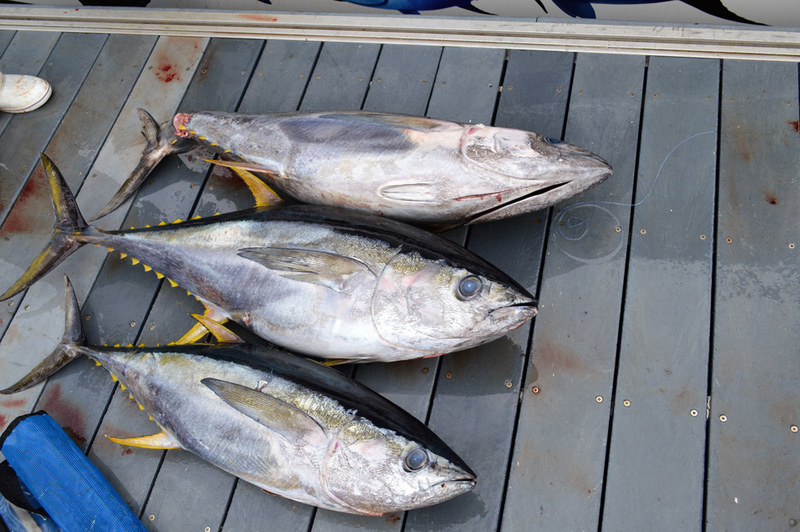 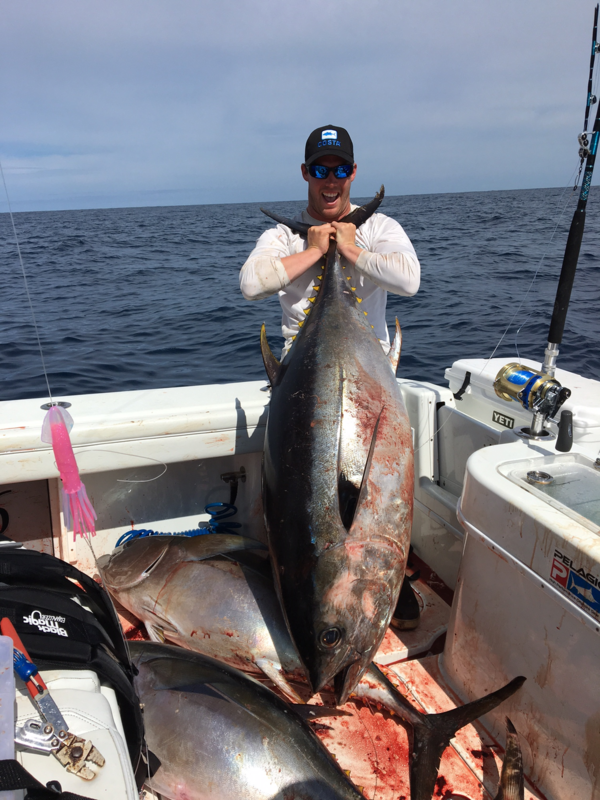 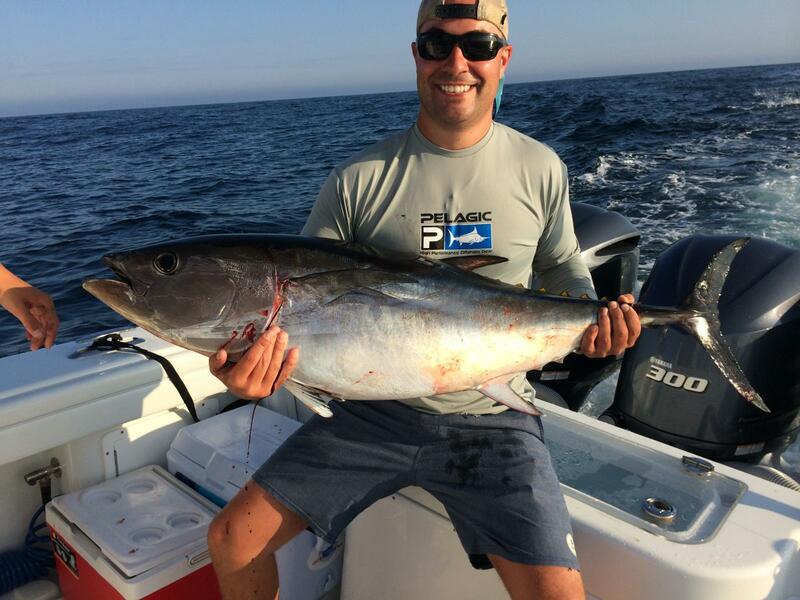 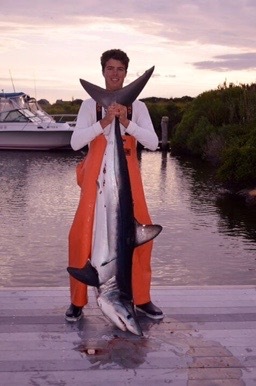 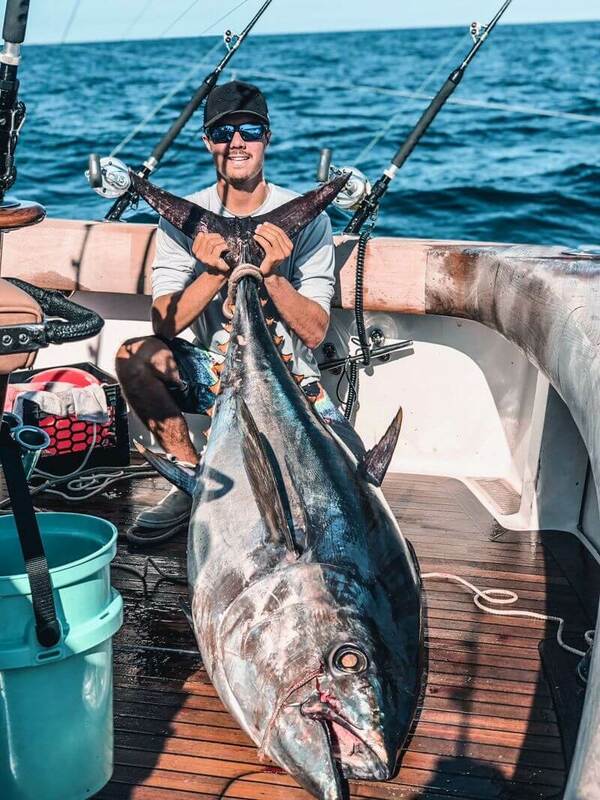 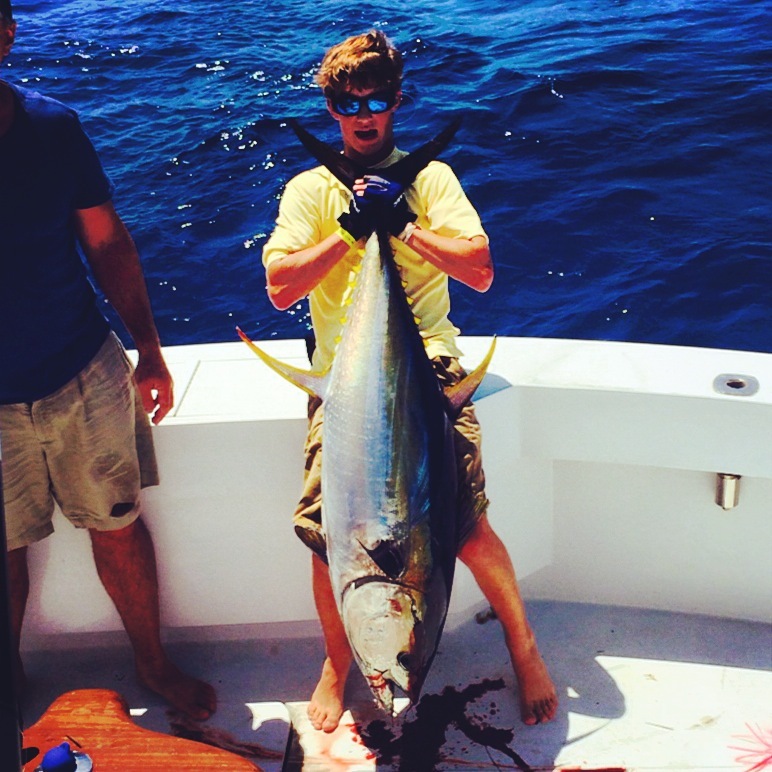 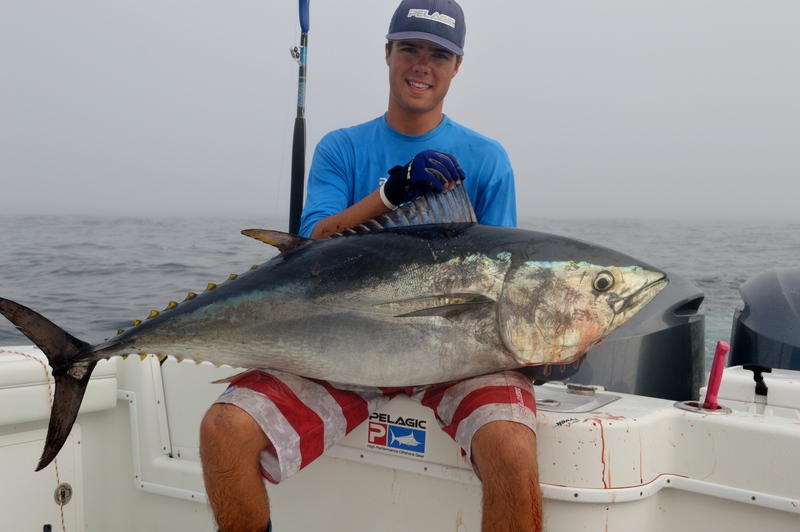 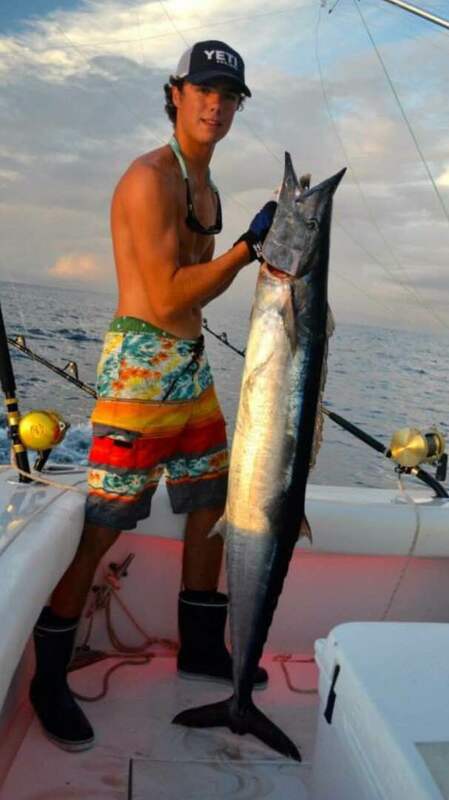 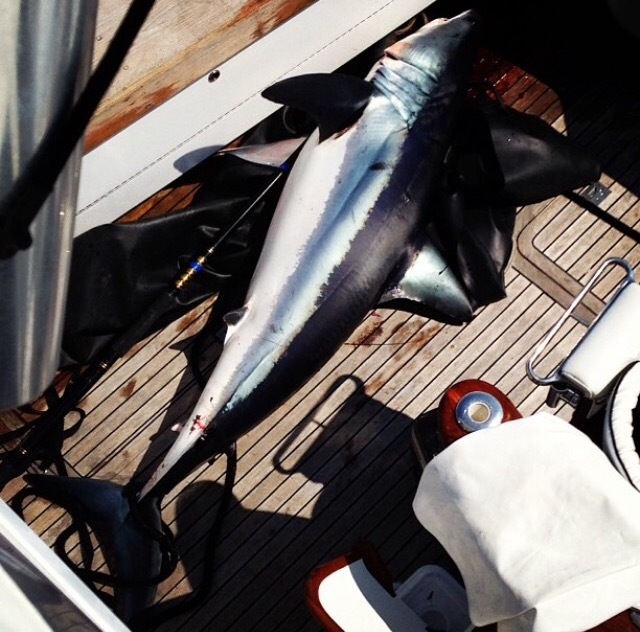 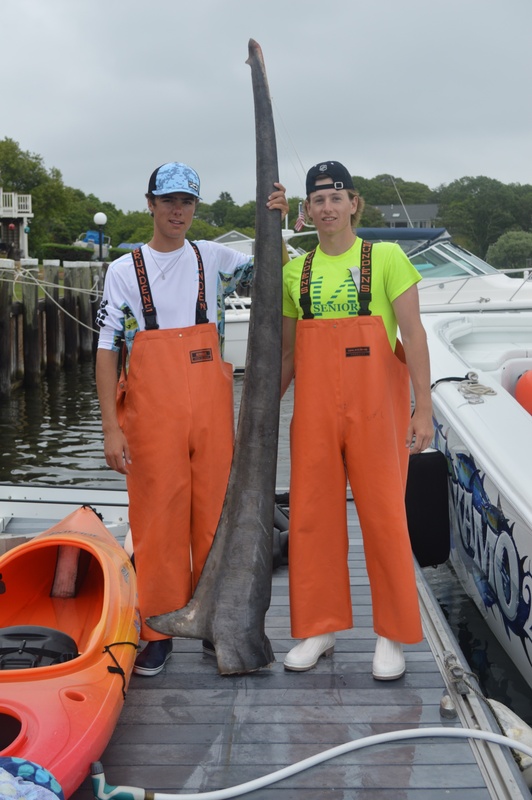 Try out some of JC’s Offshore Tackle for your best chance of landing a trophy shark or tuna. 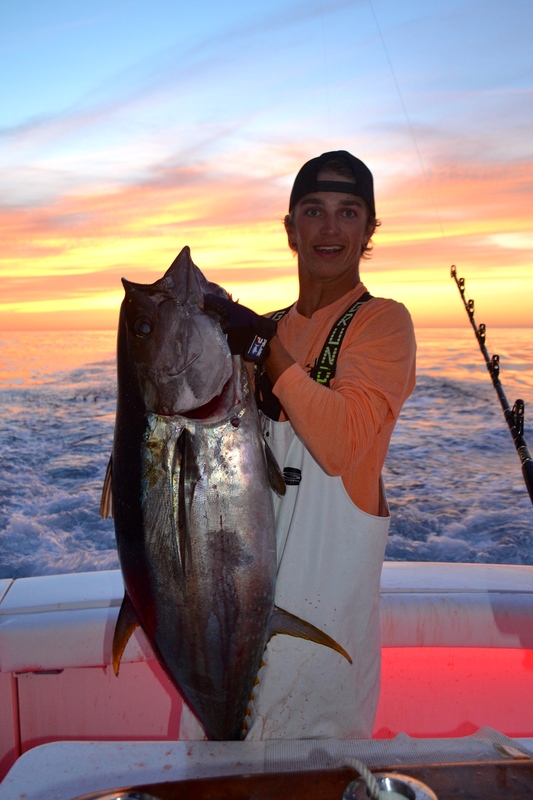 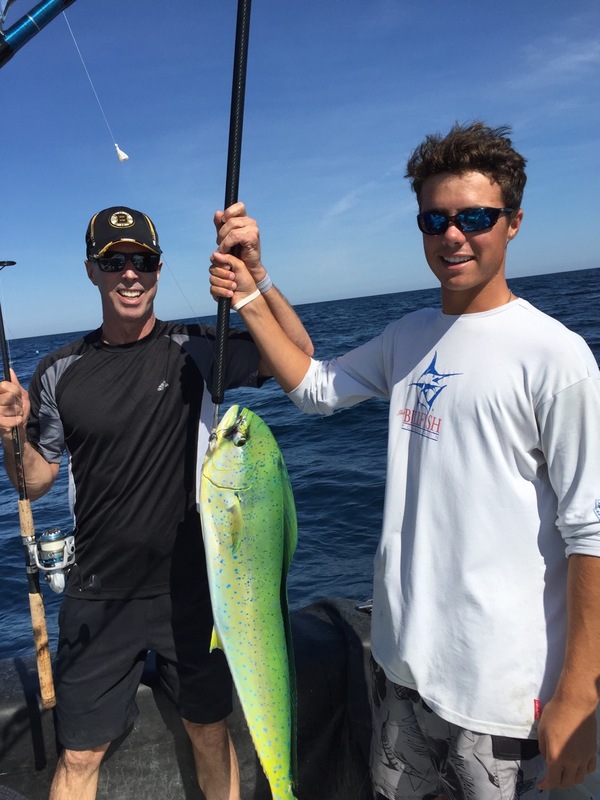 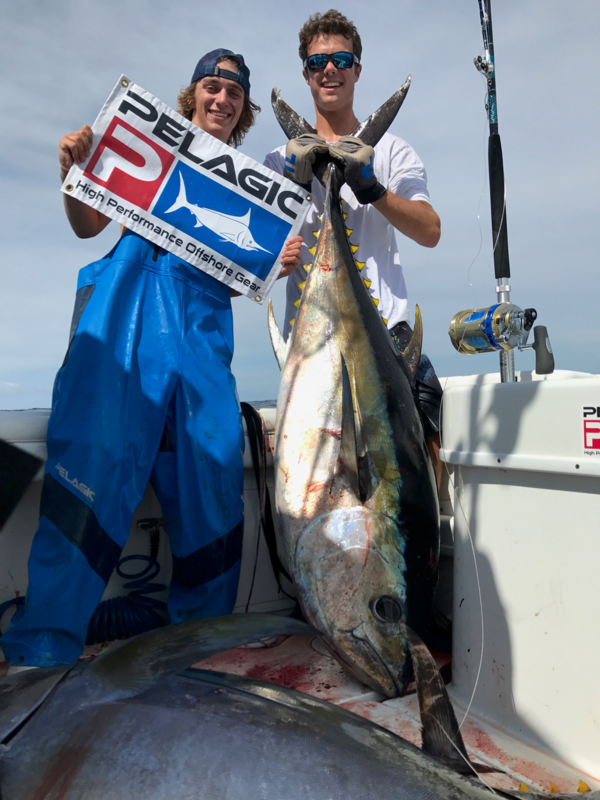 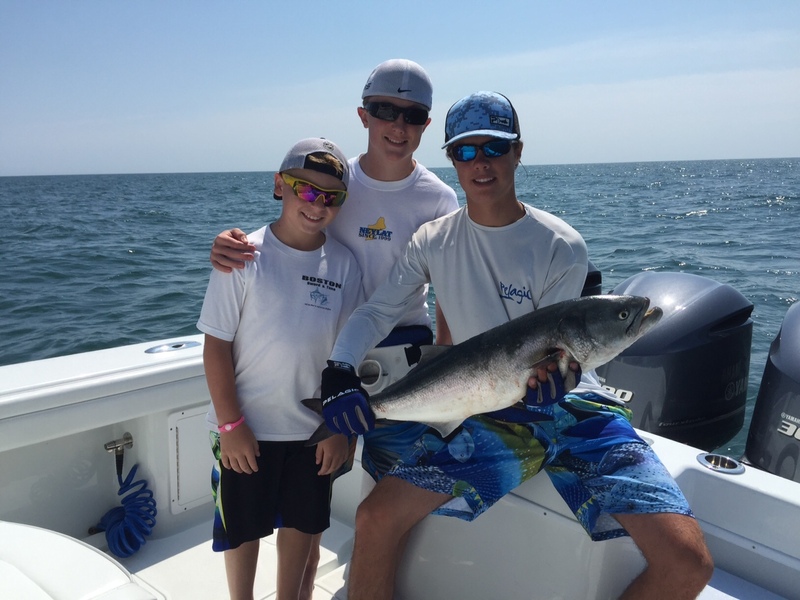 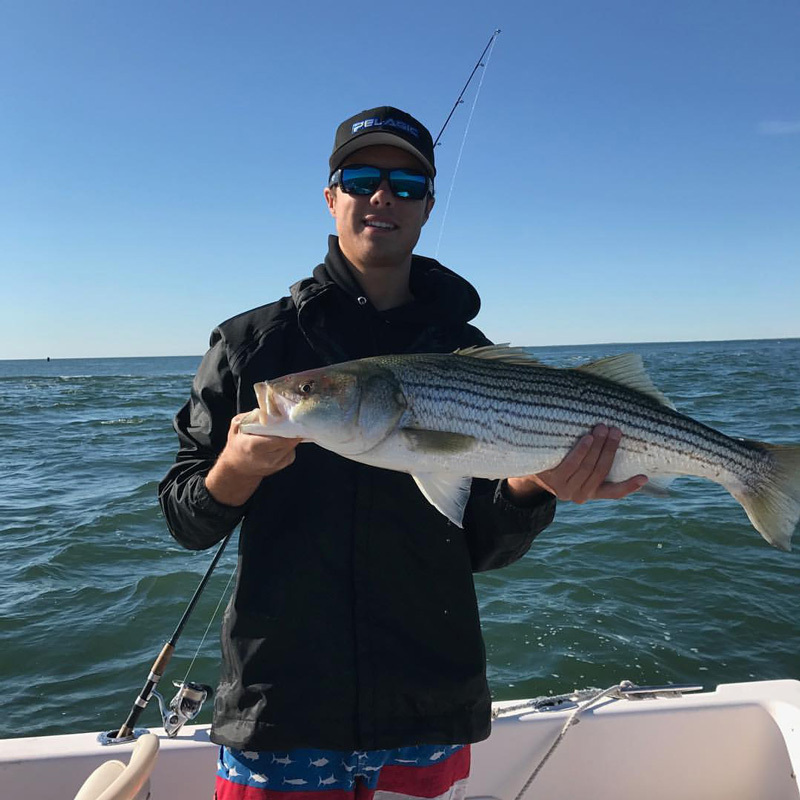 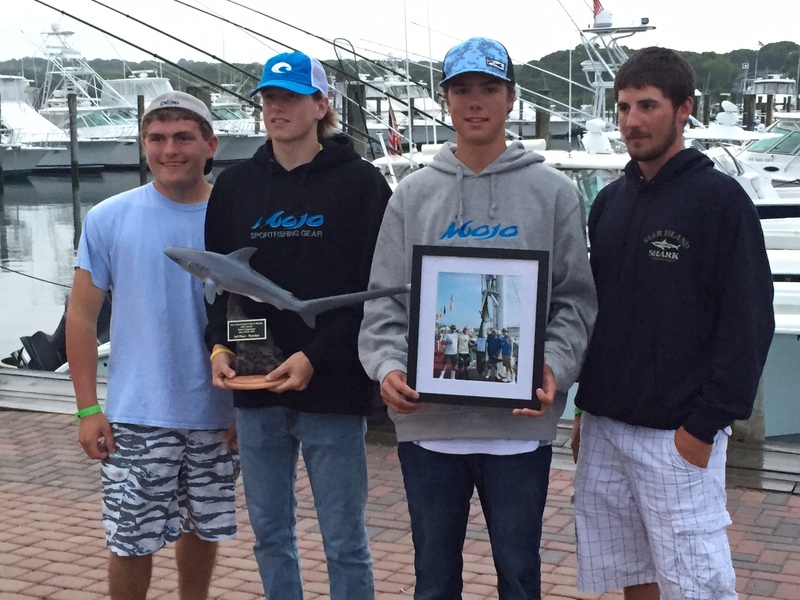 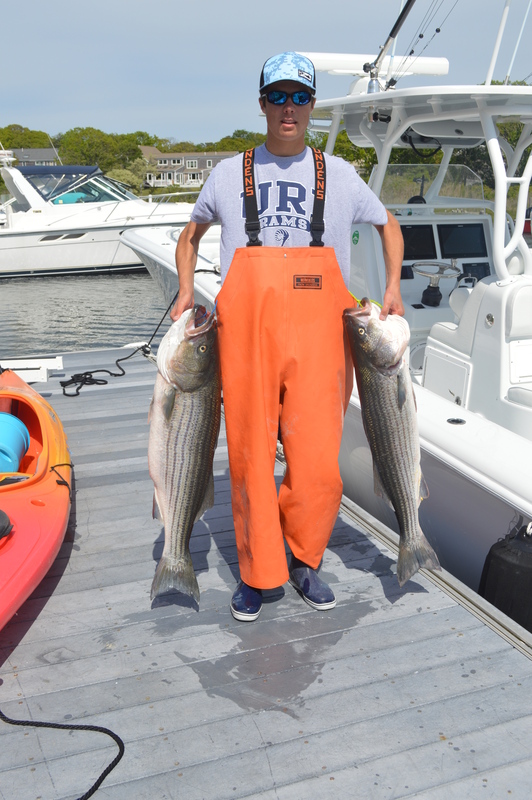 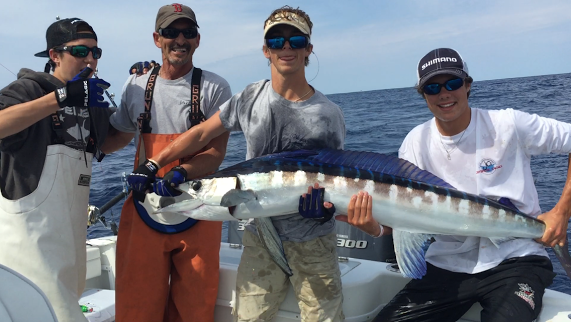 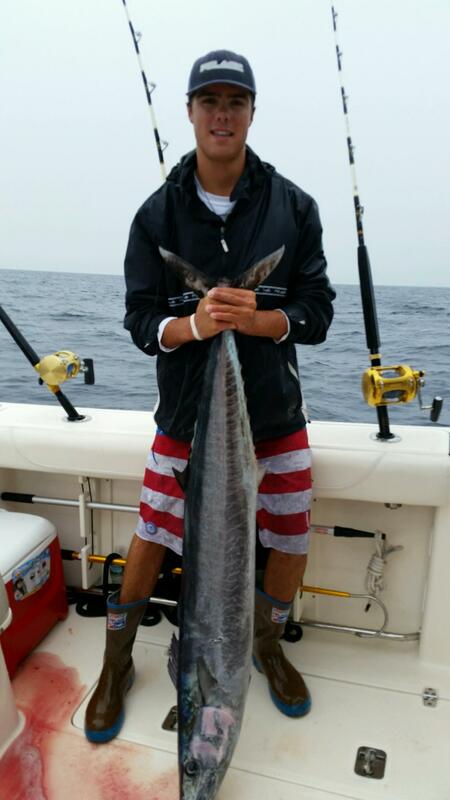 All tackle is provided by JC’s Offshore Tackle, designed and built by Captain Jake and his team. 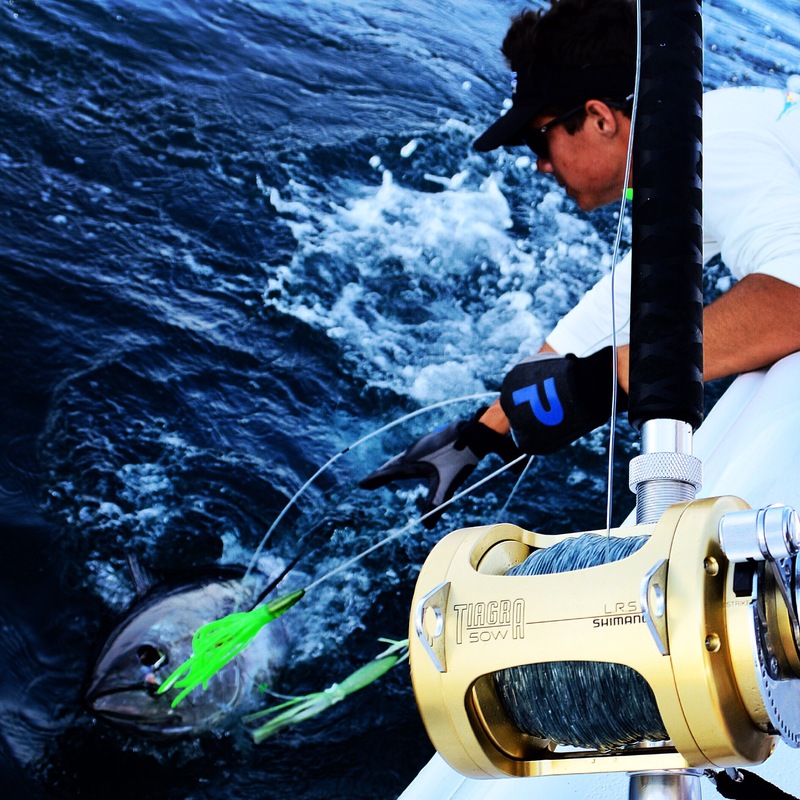 JC’s squid bars, JC’s machine bars, JC’s daisy chains and JC’s dredges will aid in your catch of a lifetime. 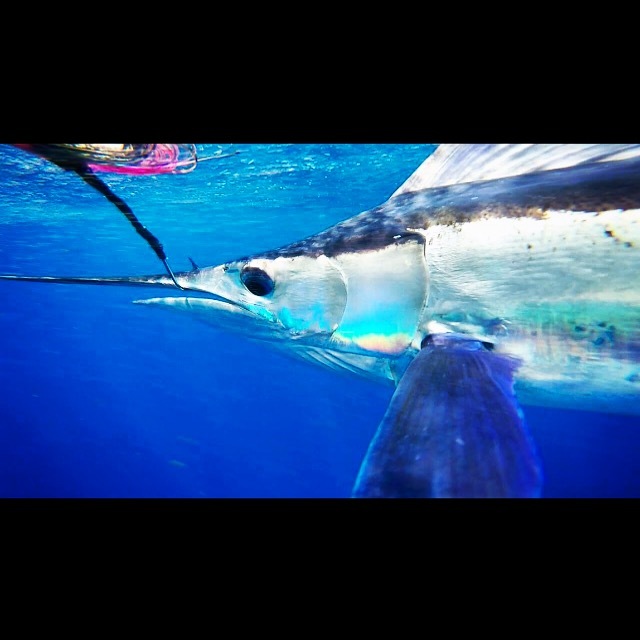 We will get you hooked!